Though the flu and the common cold can often be confused due to some of their similar symptoms, they are in fact two separate viral infections that require different treatments. Essential oils for colds have been used for years in aromatherapy for their antimicrobial, antifungal and anti-inflammatory properties. Today, essential oils are even used in over-the-counter medications for their fantastic cold-fighting properties. The practice of using essential oils for flu symptoms can not only help treat the condition, but also help manage stress and improve fatigue that often accompanies being sick. The following is a list of the best essential oils for sickness symptoms related to the cold and flu. Coughing is the body’s natural response to fighting infection in the lungs by expelling any microbes and other foreign particles found in the respiratory tract. Though coughing can be a voluntary way to reject mucus, it can also be an involuntary reflex when the nerves in the larynx and respiratory tract are affected by infections and other irritants. Coughing occurs in response to numerous factors and health complications, but is a tell-tale sign of the presence of a cold or flu. This is due to postnasal drip, an excess amount of mucus that builds up and ends up dripping down the back of the throat. You can tell if you have a postnasal drip if decongestants and nasal irrigations do not work.3 For this reason, using essential oils for mucus in throat passage ways is a natural method to help suppress a cough. For years, essential oils for coughs have been useful in alternative medicine because of their antimicrobial properties. While some studies have involved ingestion of essential oils for mucus control in patients with upper respiratory tract infections, Essential Oil Experts does not recommend ingesting them unless told to do so by a qualified professional. 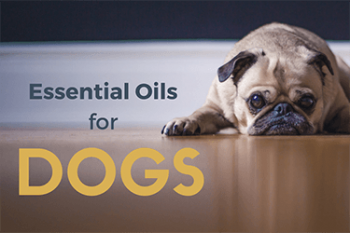 When treating symptoms including a cough, essential oil products are best used in a diffuser, as massage oil, in a bath or by steam inhalation. We’ve assembled the best essential oils to diffuse for cough relief and the treatment of other cold and flu symptoms. What essential oils are good for cough suppression? 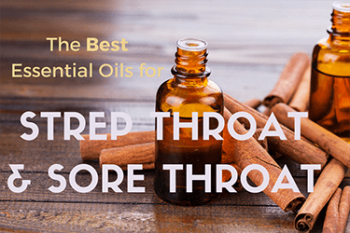 Some of the best essential oils for sore throat and cough include peppermint essential oil, tea tree essential oil, thieves essential oil, lemon essential oil, lavender essential oil and oregano essential oil. When topically using peppermint oil for colds, test a small patch of oil on your skin to avoid the possibility of an allergic reaction. Peppermint oil for cough relief should be only for adults as it can cause serious adverse reactions in children. Known for its powerful antiseptic and antifungal properties, tea tree essential oil may be effective for cold and flu symptoms. Tea tree oil for coughs may also provide relief as a massage blend or in a steam inhaler. Mix 4 drops of tea tree essential oil with 4 Tsp. of carrier oil and massage into the soles of your feet and chest. Thieves oil for colds is most effective when used by steam inhalation. To use thieves oil for cough relief, add a few drops of thieves essential oil to a steaming bowl of water, cover your head with a towel and inhale deeply. Lemon essential oil for cough suppression is another effective natural remedy. Known for its energizing, antimicrobial, antibacterial and anti-inflammatory properties, lemon essential oil is ideal for cough and congestion relief. When using lemon essential oil for colds, it’s best used in a diffuser, but can also be diluted with carrier oil and applied topically. Lavender has been used for centuries to induce sleep and relaxation. Due to its analgesic properties and antibacterial agents, lavender oil for cold and cough symptoms can help treat the flu and sinus congestion. It is one of the best essential oils for phlegm relief, and can be applied topically to the throat and chest when diluted with carrier oil. One of the best essential oils for whooping cough is oregano essential oil. With potent antibacterial and expectorant (mucus-clearing) properties, using oregano essential oil for colds is ideal for treating dry throats and irritation. Whooping cough is a contagious bacterial infection that occurs in the upper respiratory tract, and is known to affect children and teenagers even after inoculation.7 For safe use, make a chest rub using 15 drops of oregano oil with 1 oz. of carrier oil and apply to the chest area before bed. Because commercial cough remedies are not always useful for treating a child’s cold, natural remedies can be made at home using essential oils. The use of lavender essential oil has been shown to be safe for young ones experiencing colic, which causes crying and spasms. With anti-inflammatory, antispasmodic, and sedative properties, lavender essential oil has also been shown to reduce airway inflammation in asthma models.9,13 Considered one of the top essential oils for baby cough, using lavender oil for colds is generally found to be safe when a very small amount is used in a humidifier. Always keep essential oils out of reach of children, and make sure they are not used around or inside their nose. Certain essential oils are irritants to the skin and should not be used on children, including peppermint and eucalyptus essential oil. 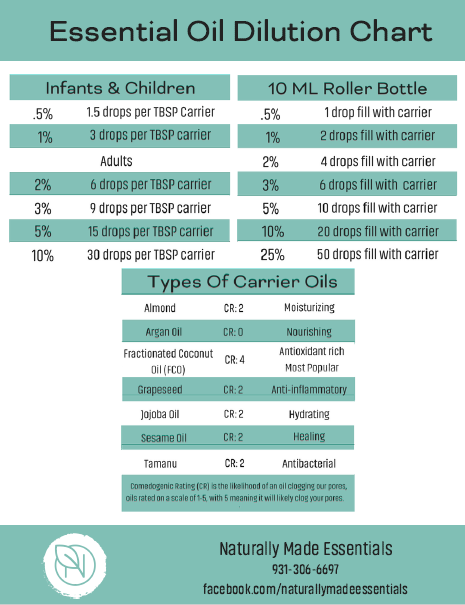 Never apply essential oils to the skin of children under 6 months old. For cold symptoms that do not improve or get worse, contact a health care professional, and discontinue use immediately. Sinus infections affect around 31 million Americans, and are often mistaken for a common cold due to their similar symptoms. They are more prevalent in people with weakened immune systems, allergies causing inflammation of the sinuses, or structural blockages in the nasal area. Symptoms include nasal congestion, sinus headaches, and excess mucus—but unlike a cold, often require powerful antibiotics to kill the bacterial infection. 10 Using essential oils for sinus infections are a natural alternative to over-the-counter decongestants that may not be suitable for some people. In the case of chronic sinusitis (a sinus disease that is recurring or constant), extensive and painful surgery is another option. For those living with chronic sinus pain, the symptoms can be debilitating. Perhaps the best essential oil for sinus infection relief is peppermint oil, thanks to its cooling aroma and antiviral compounds. Menthol, which is now used in nasal sprays, cough syrup and cough drops, is a natural extract found in peppermint essential oil, and has been used for decades to alleviate ailments of the nose and throat. For sinus infection remedies, it is best used for relief of sinus headaches caused by pressure from backed up phlegm and mucus and the narrowing of inflamed membranes.4,5,11 Because peppermint oil for sinus infection should not be ingested, it is best to use in a diffuser or by steam inhalation. Congestion is the broad medical term that encompasses cold and flu symptoms that produce the stuffy and backed-up feeling of mucus and phlegm build-up in the throat, ears, nose, and lungs. Congestion can be caused by allergies, viruses and other pathogens, and can lead to painful headaches and uncomfortable runny or stuffed noses. For treatment, use of an essential oil, decongestant, or antibiotic is usually an effective way of relieving the pressure. Essential oils for colds and congestion are a safe way to reduce inflammation in the nose. The best essential oil for congestion involving the sinuses is peppermint oil; for congestion resulting in serious sinus headaches, peppermint contains menthol properties, proven to aid congestion.4,5,11 For this reason, it’s also considered one of the most effective essential oils for head congestion. As one of the top essential oils for ear congestion, rosemary essential oil’s properties help clear congested airways or nasal passages and equalize air pressure in the Eustachian tubes connected to the nose. With antibacterial and pain-relieving qualities, rosemary essential oil can be added to a diffuser, an aromatic bath or directly inhaled to relieve congestion. For a pleasant aroma, combine 2 drops each of rosemary and lavender oil for congestion in a diffuser for up to 30 minutes. Most commonly, congestion is used to describe sinus congestion—or the feeling of fullness in the face.12 As mentioned above, sinus congestion related to sinusitis can be exceptionally uncomfortable, but can be overlooked or over-treated with antibiotics. To help alleviate some of the swelling in the lining of the mucous membranes, one essential oil for nasal congestion is peppermint oil for sinus soothing. Menthol produces a cooling sensation that—though may not cure congestion long term—will certainly reduce headache pain and around the eyes. Other effective essential oils for sinus pain include tea tree essential oil, eucalyptus essential oil and lavender essential oil. Eucalyptus may be the best essential oil for sinus congestion, thanks to its antibacterial, anti-allergen, pain-relieving properties and ability to clear inflamed nasal passage ways. Other essential oils to clear sinuses may include oregano essential oil, which has potent antifungal and antiviral properties. For users wondering how to use peppermint oil for sinuses, it can be used in an aromatherapy bath, by topical application or in a diffuser. Steam inhalation can also be enhanced with peppermint oil, and sinuses will feel less inflamed and constricted. Peppermint essential oil should always be diluted with a carrier oil before topical application. Do not place peppermint essential oil inside the nasal cavity. An essential oil for chest congestion relief known for its antibacterial and antifungal properties is eucalyptus oil. Chest congestion is often treated with expectorants that get rid of excess mucus, but eucalyptus essential oil for colds is used in many over-the-counter medications, and can simply be used on its own. In the case of congestion related to allergens, eucalyptus essential oil has for years been the subject of studies examining its effects on allergic reactions. Tea tree oil for chest congestion is another option. Either essential oil can be used with regular inhalation via diffuser to address chronic conditions or asthma related issues. They can also be used to prevent painful coughs by dilution in a carrier oil and sparing application to the chest twice a day. While tea tree oil is less toxic than eucalyptus, neither should be taken orally. To use these essential oils for bronchial congestion (inflammation affecting the bronchial passage to the lungs), a few drops can be added to a bath, or used in the steam of a shower. Using essential oils for blocked nose congestion is a safe and natural way of addressing unwelcome cold and flu symptoms. 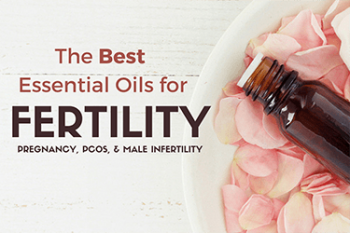 When deciding what essential oils are good for stuffy noses and sore or itchy throats caused by post-nasal drip, any of the previously mentioned essential oils have proven benefits. Because it’s commonly found in over-the-counter medications, eucalyptus oil for cold symptoms may be the best essential oil for stuffy nose as it is well-known for its antibacterial properties and ability to calm inflamed nasal passage ways. When experiencing a stuffy nose, eucalyptus essential oil can be applied to a cotton ball or handkerchief and inhaled directly. Another way to strengthen essential oil vapor is to use a nebulizing diffuser. This new type of diffuser does not require oil dilution with water, and will increase the oils ability to control a stuffy nose, as well as cold, flu, and congestion symptoms. Long, GH., Karanikas, AT., Harvill, ET., Read, AF., Hudson, PJ. (2010). Acellular pertussis vaccination acilitates Bordetella parapertussis inection in a rodent model of bordetellosis. Proc Biol Sci. 2010 Jul 7;277(1690):2017-25. Doi:1098/rspb.2010.0010.